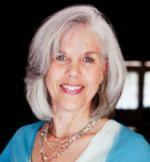 Longtime Attachment Parenting International (API) supporter, Linda Folden Palmer, DC, announces her latest book, Baby Poop. API: Tells us about Baby Poop. Linda: Babies cannot tell us what symptoms they are feeling or where they are hurting. For the most part, we get smiles or cries, and we get poop. The color, consistency and frequency of a baby’s poop can provide all kinds of diagnostic clues to the child’s well-being. My book discusses the impacts of many factors on the establishment and maintenance of baby’s flora, describes what kind of poops parent can expect at different ages and diets, explores issues of early weight gain and presents valuable preemie feeding evidence. The book also informs about caring for colic and reflux, and discovering and treating food sensitivities. Current newborn jaundice treatments are frequently contrary to the best research findings. I also provide plenty of information on dealing with constipation and withholding. There’s more to caring for a sick baby than the 10-minute visit with the doctor. Baby Poop helps parents to know when baby is sick and provides evidence-based care practices for supportive care. I present the science about the use of various over-the-counter drugs with infants and demonstrate the risks attendant with prescribed antibiotics and antacids. What’s the best way to help a baby with a little gastrointestinal (GI) virus to feel better? Snuggles, empathy and affection, along with good hydration. There’s much more to be found in Baby Poop. API: What inspired you to write this book? 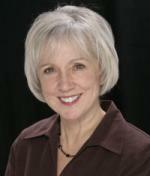 Linda: My first book, Baby Matters, became highly popular, and I received many letters and provided many consultations as a result. While Baby Matters (now in its 3rd edition as The Baby Bond) was chiefly intended to present the scientific evidence that supports Attachment Parenting practices, this brings in the topics of feeding, food sensitivities and other infant health issues. I came to realize that a bulk of questions that I received from parents evolved around infant stooling symptoms and challenges. I also realized that this was an area where parents seemed to be receiving the least amount of good attention from their pediatricians. Parents have great intuition to know when something is off, but had nowhere to turn for good answers. Besides invasive tests and frequent prescriptions for marginally appropriate medications, parents were not receiving truly helpful assistance toward optimizing the health of their babies. Having found my GI course in chiropractic school to be quite inspiring, having learned from the many families I provided health consults with over the years, being married to a man with Crohn’s disease whom we keep asymptomatic without drugs, and giving birth to one of the most poop-challenged children I’ve known, I had the background and drive to bring the evidence and my gained knowledge together in one useful text. 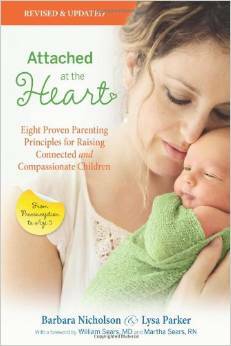 Linda: To me, a big part of Attachment Parenting is seeking to provide the best comfort possible for a baby. Beyond this, taking efforts to optimize a child’s health provides future comfort via reduction in future diseases. Rather than the common advice to parents to just tolerate colicky cries and to medicate reflux or diarrhea symptoms, Baby Poop gives parents the tools to get to the bottom of such conditions and heal them. 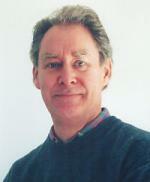 I bring the current science on reducing risks for and treating autism. Parents also gain the tools to recognize many health conditions long before they may have otherwise become medically acknowledged. API: Is there any special message you have for parents of infants about the long-term importance of the gut microbiome? Linda: Microbiome research is huge today — and it’s about time! It’s incredible what long-term gut health affects can result from a choice over home or hospital birth, small or large facility, scheduled C-section or natural birth, immediate or delayed latch to breast, formula supplements or not, or from supplementing preemies with artificial versus human milk-derived fortifiers. Even if everything goes as planned toward seeking a healthier flora establishment, over-prescription of antibiotic drugs to young children can set the microbiome health back for years or even for life. Gut health not only affects the number of GI infections a child endures, but it provides the basis for the absorption of nutrients, for inflammation control and for immune system effectiveness. It even affects the brain. Risks for the later development of asthma, autism, autoimmune disorders, diabetes and inflammatory bowel disease are all impacted by early gut health. There are so many instances where parenting choices can have strong influences on the future health of a child. There are also many ways in which parents can make up for the effects from circumstances that were beyond their control. API: What are your views of API? How does your book fit within API’s mission statement? Linda: I found my first Attachment Parenting support group 20 years ago when I was struggling with many conflicts between my own parenting instincts and the baby care advice directed at me from so many others. API helped to give me the permission I needed to follow my heart when it came to caring affectionately for my baby. Back then, following evidence-based natural parenting principles was in great conflict with mainstream pediatric advice. It still is today — although to a lesser degree thanks in large part to the work of API. Baby Poop gives parents the science-based tools they need to make their own educated decisions about their baby’s feeding and basic healthcare, in effort to optimize the long-term health, and thus happiness, of their child. Linda: In researching all the various aspects of infant care surrounding infant gut health, I learned all over again that the science supports natural parenting choices. 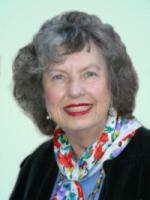 Linda: I offer many infant health and parenting articles on my website at BabyReference.com. Also follow my Facebook pages: Baby Poop and The Baby Bond: Baby Matters. 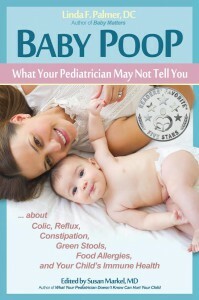 Baby Poop is available on Amazon or wherever books are sold. A limited number of books will soon be available for purchase in the API Store. 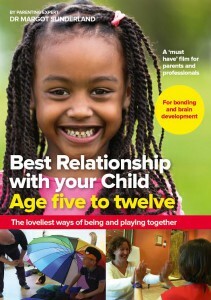 British child psychologist and psychotherapist Dr. Margot Sunderland’s “Best Relationship with Your Child” DVD series explores parenting strategies to strengthen the parent-child relationship. API: Tell us about your DVD series. 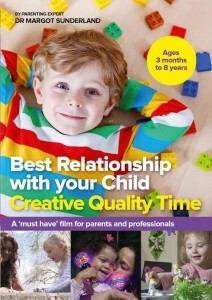 Margot: The 3 films in the “Best Relationship with your Child” series are designed to equip parents with tools, skills and practical ideas to strengthen their attachment relationship with their child. Using the latest neuroscience research and illustrated throughout with delightful footage of parent-child quality time, the films will support parent-child relationships in amazing ways. All the communicative tools and ideas for attachment play are designed to enhance both bonding and the child’s brain development — not only enriching parent- child relationships now, but as an investment for life. API: What inspired you to create this resource? 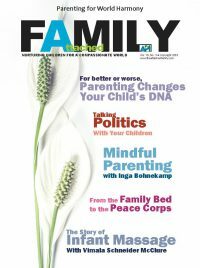 Margot: I was all too aware that there is so much out there on how to get children to behave, but actually very little on how to enhance parent-child relationships on a day-to-day basis. And recent studies have shown that parents want so much more than just advice on effective discipline. They want to know how to have the best possible relationship with their child. 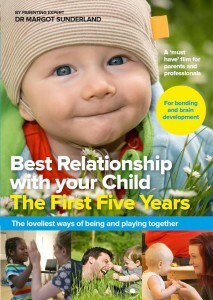 So I wanted to provide a resource, which would give parents a huge menu of ideas for lovely ways of connecting with their child, particularly through attachment play. Over 17 years, I had also carried out a meta-analysis of research on the long-term impact of positive parent-child interactions on the child’s developing brain in my book, The Science of Parenting. As a result of this, I wanted to communicate to parents how attachment play is key for healthy brain development and long-term mental health. So I talk about this on the DVDs, too, using accessible language and images of course. 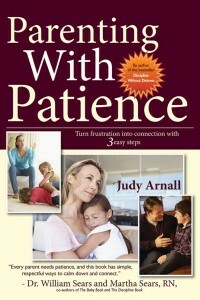 API: How will this DVD series benefit other families? 2/3 of communication between parent and child is about daily routine. Over 1/3 of parents think they don’t spend enough time with their children. Over 1/2 of parents say they only play with their children occasionally, 1/3 say they simply don’t have the time to play, and 1 in 6 fathers say they do not know how to play with their child. Then there is the allure of technology, with so many parents concerned nowadays that their children would prefer to communicate with their mobile phone rather than with their family! Statistics show that 1/3 of parents and their children use devices at the dinner table, by the way. API: Is there any special message you have for parents who question that playing with their child is important? Margot: Parent-child attachment play isn’t just a nice thing in the moment. If you do some every day, even for a short time, you are both investing in the health of your relationship long-term and enhancing your child’s brain development — especially emotional and social intelligence, all backed by research. I would say, try to aim for at least 1 hour of quality time a day with your child. But this can be made up of separate quality moments spread out through the day, rather than just one big block of 60 minutes. I think it’s more powerful that way. API: What are your views of Attachment Parenting International (API)? How does your DVD series fit within API’s mission statement? Margot: I am passionate about Attachment Parenting International and its dissemination of such vital information about the importance of strengthening emotional bonds between parent and child, for both self and society. 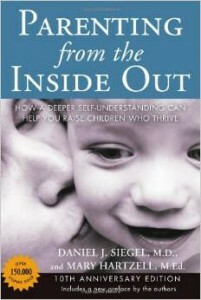 The DVDs work within API’s mission statement in that they are designed to support secure attachment between a parent and child through demonstrating a whole host of attuned emotionally responsive parenting interactions, using key communicative techniques and attachment play. So hence through the DVDs, it has been a pleasure to share with parents a resource that will hopefully bring them and their children endless moments of real connectedness. API: Where can people find more information about this resource or your work? Margot: On my website or through the work of The Centre for Child Mental Health in London, UK. A limited number of DVDs are also available for purchase in the API Store. There are 500+ members waiting to read and discuss AP-oriented books with you. Are you already one of those members? If not, what are you waiting for?! Join the club at API’s online book club held through GoodReads. 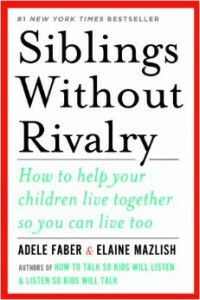 We are now reading Siblings Without Rivalry by Adele Faber and Elaine Mazlish for the general audience. 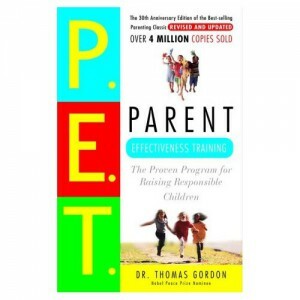 For the older children genre we are still reading Parent Effectiveness Training by Thomas Gordon. 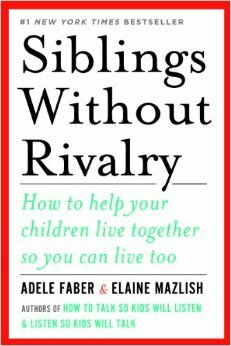 Chapter 10: Parental Power – Necessary or Justified? Our discussions happen on GoodReads, so don’t hesitate to join in the conversation. We read a chapter a week and sometimes you can’t get through the chapter and yet you’ll find you’ll still be able to participate in the conversation. So come join the other 500+ members who are already part of the conversation! This is an exciting month for API Reads in which you, the reader, get to choose which direction you’ll go in your reading. We are still reading Parenting from the Inside Out by Daniel J. Siegel, MD, and Mary Hartzell for the general audience and for those with children under the school-age years. We will also be reading Parent Effectiveness Training by Thomas Gordon for those with children who are in the school-age years and above. Our discussions happen on GoodReads, so don’t hesitate to join in the conversation. We read a chapter a week, and sometimes you can’t get through the chapter and yet may find that you will still be able to participate in the conversation. So come join the other 400+ members who are already part of the conversation! What this year’s celebration of World Breastfeeding Week is really about—more than updating the status on breastfeeding acceptance or increasing understanding for mothers who are unable to breastfeed—is advocacy for parent support. While the primary goal of Attachment Parenting International (API) is to raise awareness of the importance of a secure parent-child attachment, the organization’s overarching strategy is to provide research-backed information in an environment of respect, empathy and compassion in order to support parents in making decisions for their families and to create support environments in their communities. API extends beyond attachment education, also promoting the best practices in all aspects of parenting from pregnancy and childbirth to infant feeding and nurturing touch to sleep and discipline to personal balance and self-improvement through such innovative programs as API Support Groups, the API Reads book club and the Journal of Attachment Parenting, just to name a few. API is a parent support organization made up of parents located around the world with a deep desire to support other parents. In this spirit, API created the Parent Support Deserts project through which we mapped gaps in local parent support opportunities specific to Attachment Parenting (AP). The goals of this multi-layered project are to identify communities, regions and nations in need of conscious-minded parent support and to encourage collaboration among like-minded organizations to address these gaps. The first part of the project was identifying key nations of the world that we feel would ideally have organized, like-minded parent support options available. We focused on developed countries, because societal advance encourages separation from the natural world, including biologically instinctual ways of living and relating to one another, as is reflected in family structure and mainstream parenting philosophies. Industrialized nations lead the world in ideas and developing, and less-industrialized and underdeveloped nations tend look to these societies for guidance. We used the World Bank’s list of Developed Countries and Territories. All of the nations included in the project are defined as high-income economies as determined by Gross National Product, per-capita income, level of industrialization, widespread technological infrastructure and high standards of living. API recognizes that there are myriad local parent support opportunities in many communities that are not affiliated with these key parent support organizations, such as peer counselors, professionals, groups and classes available through hospitals, clinics, faith-based organizations, schools, etc. and that some of these may be quality, AP-minded programs. We appreciate this and welcome these independent programs to nominate themselves for inclusion in the Parent Support Deserts project through rita@attachmentparenting.org. We have a bias toward local support groups because the research validates the importance of a parenting support network. This may be provided through family, friends, coworkers and others in an informal way, but a community of like-minded parents is an empowering environment for parents learning about and growing in their parenting approach. It is to be noted that not all communities identified as having a parent support option may have an active local support group at any one time, as some local leaders hold groups while others, depending on their own life stage or lack of interest from the community, opt not to lead a group but to remain available for one-on-one support. What was important in mapping communities was identifying those with an active parent support leader affiliated with one of the key parent support organizations who is either leading a group or class, or is available to provide support in this way should the interest from parents arise. It is also to be noted that local support groups or classes unaffiliated with API may provide varying degrees of AP education that may or may not be aligned with API’s Eight Principles of Parenting. However, each of these representative organizations promote an environment that empowers parents in finding their own path for intentional parenting. The third part of the project is dissecting each nation into both parent support deserts as well as oases. The first nation we are focusing on is the United States. Future steps include cross-examining data according to risk factors such as areas with low breastfeeding rates, high infant mortality, high Cesarean rates and other aspects of public health, as well as creating maps to illustrate parent support deserts and oases, and inviting discussion among the AP community in how to address gaps in parent support. Local parent support for breastfeeding has grown at an astonishing rate since La Leche League (LLL) International was founded in Illinois, USA, in 1956. LLL groups are located worldwide in nearly all developed nations as well as other less-developed countries. LLL has expanded its resources as cultures have evolved with technology and the changing roles for mothers, assisting mothers in providing breast milk to their infants whether through exclusive or partial breastfeeding or pumping as needed. As research pours in on the benefits of breast milk and breastfeeding, evidence continues to point toward AP practices, such as using fewer interventions during childbirth, avoiding early mother-baby separation, rooming-in at the hospital, breastfeeding on demand, interpreting pre-cry hunger signals, encouraging skin-to-skin contact, room sharing, discouraging cry-it-out sleep training, helping the father in supporting the mother, and others. As a result, the vast support network that many communities now have for breastfeeding mothers—from a breastfeeding-friendly medical community to lactation consultants and peer counselors to doulas and childbirth educators and parent educators trained in lactation support—tend to direct breastfeeding mothers toward Attachment Parenting. By contrast, there are few organized AP-minded support opportunities for mothers who are unable to or choose not to breastfeed or feed expressed breast milk. Formula-feeding parents are relatively on their own in terms of finding support that rightly points them in the direction of Attachment Parenting, as this choice or necessity to bottle-feed exclusively is seen less as part of the relationship context and more solely a nutritive option—though certainly we know, and research in sensitive responsiveness is finding, the behaviors surrounding bottle feeding are as much a part of the parent-child relationship as is breastfeeding. Unlike breastfeeding support, formula-feeding support is much less cohesive, with some information sources putting forth questionable science regarding formula versus breastfeeding benefits. This gap in support provides an opportunity for API Support Groups and other like-minded organizations to offer acceptance, validation and support in AP practices to non-breastfeeding mothers. One program in the United States that does this is the Special Supplemental Nutrition Program for Women, Infants, and Children (WIC), putting as much attention on formula-feeding mothers as those who choose to breastfeed. Unsupported Key Communities = Communities of 100,000 or more, or state capitals, without either an LLL or an API presence. Undersupported Key Communities = Communities of 100,000 or more, or state capitals, with either an LLL or an API presence, but not both. Notable Communities = Communities of any population with both an API and LLL presence as well as other Attachment Parenting-minded support. Key communities have a population of at least 100,000 or are state capital cities, because of these communities’ population density and centrality to policymaking and lawmaking. We recognize that families in less-populated areas are as much in need of support. The Parent Support Desert project has found that LLL’s distribution worldwide and within the United States includes both urban and rural population centers, making LLL unique among like-minded organizations. API considers LLL to be an important partner in the Attachment Parenting movement, not only because of its representative size, reach and longevity but also because the parenting support provided in addition to breastfeeding education is directly in line with that promoted by API.